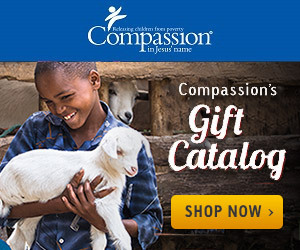 Compassion's Christmas Gift Catalog is now available online! You can view all of the gifts online, but you can order a catalog here. Have some questions about the gift catatog? You will find answers here. ...you can also share in the gift by helping to provide a roof for a highly vulnerable child and family. We have already had a family discussion about scaling back our Christmas gifts this year so that we can make a purchase from the catalog to help spread some Christmas joy! What gift are you drawn to?